general assessment of oil’s organoleptic characteristics through the senses, in particular sight, smell and taste. Extra-virgin olive oil infused with herbs and spices to enhance a specific flavour note. 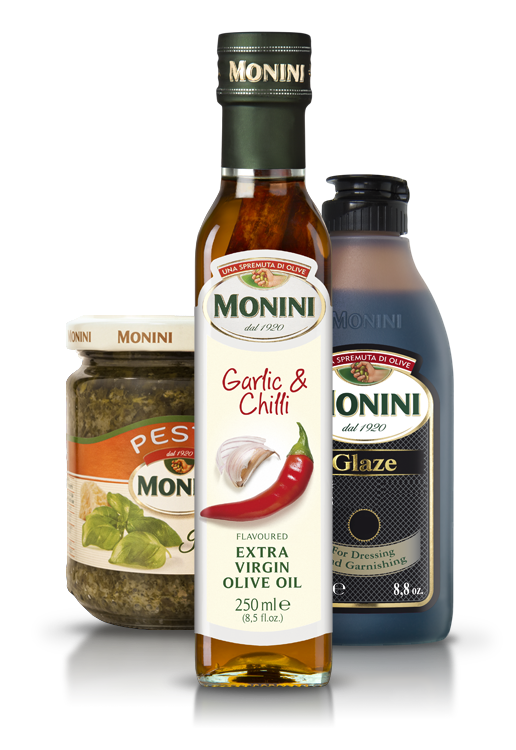 In our products, we infuse our extra-virgin olive oil with typically Mediterranean flavours. 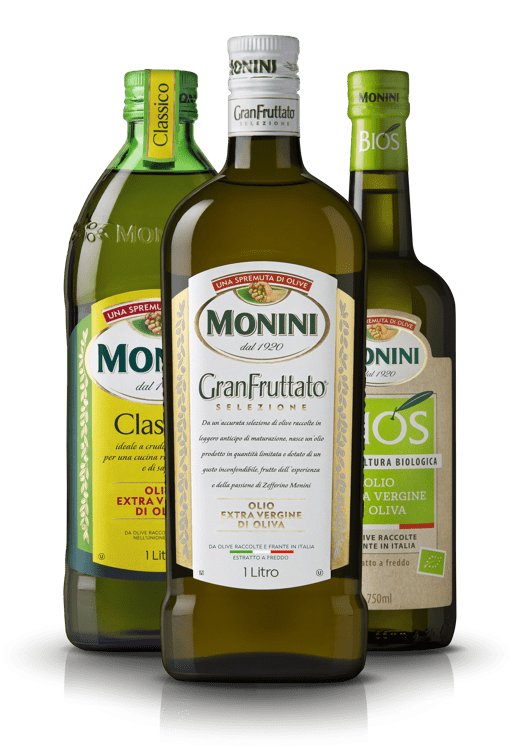 A blend of oils from various olive varieties, obtained by mixing skilfully high-quality extra-virgin oils to achieve a final product that is balanced in flavour and aroma. An olive variety with unique organoleptic characteristics that give the resulting oil special flavour qualities. Machine where olives are crushed to extract oil. This process can be continuous or discontinuous (traditional). Continuous (centrifuging) machines have only one production cycle, thanks to a decanter that separates the pomace from the vegetation water and from the olive paste. Discontinuous (hydraulic) presses use granite millstones for crushing; the resulting paste is collected on fibre discs and it is then pressed mechanically. This type of oil press is becoming rare, since higher-quality technologies, more hygienic and with a higher yield, are now preferred. technique used in oil tasting, which consists in tasting the oil by inhaling air through the mouth. Keeping their teeth closed, the taster tries to recreate a sort of nebuliser inside the mouth that highlights the smell and taste of oil. Oil with maximum free acidity of 0.3%, obtained from oils with high acidity or with severe organoleptic defects (lampante oils), which undergoes an industrial refining process to reduce its acidity and eliminate oxidised substances and organoleptic defects. Although it maintains the same fatty acid composition as virgin olive oils, refined oil (also called rectified oil) is practically odourless and lacks beneficial substances such as polyphenols. It cannot be sold except in bulk. Pleasant sensation reminiscent of flowers’ penetrating scent. Typical bittersweet aftertaste reminiscent of this fruit. Similar to the smell of mouldy bread, it is often found in oils from olives stored in warm, humid environments.